Written in stolen moments under truck chassis and on park benches to a soundtrack of The Downward Spiral and Pablo Honey, Fight Club came into existence. The adaptation of Fight Club was a flop at the box office, but achieved cult status on DVD. The film’s popularity drove sales of the novel. Chuck put out two novels in 1999, Survivor and Invisible Monsters. Choke, published in 2001, became Chuck’s first New York Times bestseller. Chuck’s work has always been infused with personal experience, and his next novel, Lullaby, was no exception. Chuck credits writing Lullaby with helping him cope with the tragic death of his father. Diary and the non-fiction guide to Portland, Fugitives and Refugees, were released in 2003. While on the road in sup Written in stolen moments under truck chassis and on park benches to a soundtrack of The Downward Spiral and Pablo Honey, Fight Club came into existence. The adaptation of Fight Club was a flop at the box office, but achieved cult status on DVD. The film’s popularity drove sales of the novel. Chuck put out two novels in 1999, Survivor and Invisible Monsters. Choke, published in 2001, became Chuck’s first New York Times bestseller. Chuck’s work has always been infused with personal experience, and his next novel, Lullaby, was no exception. Chuck credits writing Lullaby with helping him cope with the tragic death of his father. Diary and the non-fiction guide to Portland, Fugitives and Refugees, were released in 2003. While on the road in support of Diary, Chuck began reading a short story entitled 'Guts,' which would eventually become part of the novel Haunted. We’d love your help. Let us know what’s wrong with this preview of In Pieces by Sally Field. We’d love your help. Let us know what’s wrong with this preview of Such Good Girls by R.D. Rosen. We’d love your help. 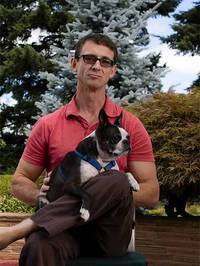 Let us know what’s wrong with this preview of Burnt Tongues by Chuck Palahniuk. Book to film...Which novel would you like to read as a group in November? If you are voting, please make note you are committing to reading and discussing your choice, if it wins here.